Are You (Or A Loved One) Entitled To A Full State Pension? The State pension (contributory) is paid to people from the age of 66 who have enough Irish social insurance contributions. 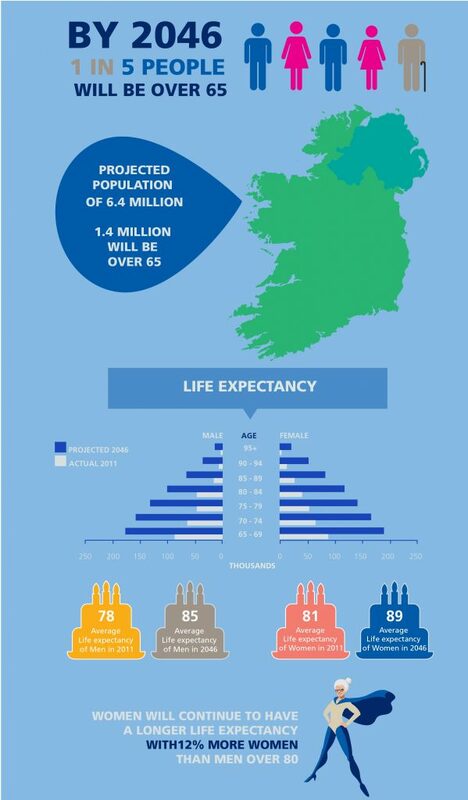 From March 2017, the State pension in Ireland for a person aged 66 or over is €238.30 per week which equates to €12,434 a year. You must have paid at least 520 full rate social insurance contributions and have a yearly average of at least 48 paid and/or credited full rate contributions from the year you started insurable employment until you reach 66 years of age. See here for more terms & conditions. If you are unsure whether you are entitled to a full state pension, you should click on this link and submit your details. Are you providing for your retirement? Starting a pension can be a smart financial decision. ODM Financial Advisers can offer you sound advice, and via our ASPIRE program, we can guide you in selecting the right pension plan for your circumstances. Bank Place, Bandon, Co. Cork Ireland. Use our Pension Calculator to calculate your expected pension based upon your personal circumstances and contributions.